A rather interesting page has come to our attention, which reveals new information on Samsung's plan for Android Lollipop rollout. The URL in question comes from the Finnish section of Samsung.com, so it is about as reputable a source as it can get. It holds a table, that details the next planned update for a number of handsets and tablets and surprisingly enough it claims that Android 5.0 will reach quite a few models including a few fairly old smartphones. Going through the list we find the Galaxy Note 4 as well as the Note 3, both of which were previously expected to receive Lollipop. The surprising thing is that the Galaxy Note 2 is also on the list. The phablet first hit consumer markets in September 2012 and as a rule Samsung tends to support its devices through 2 years or 2 major updates, whichever comes first. 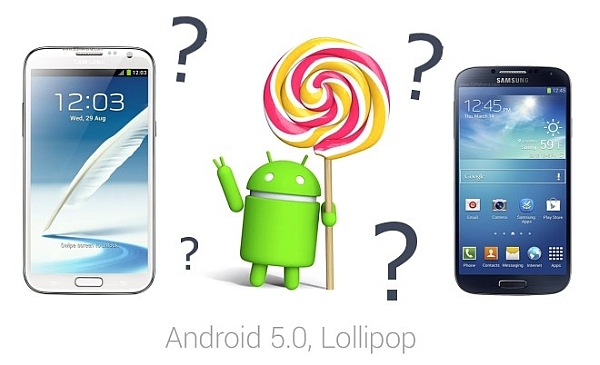 So to see it is expecting Android 5.0 is surprising to say the least. But good news doesn't stop there. Glancing through the S family and other device lines we see a lot more confusing information. The Galaxy S5 Mini is among the devices listed as waiting for the Lollipop update, but the entry for its bigger brother, the Galaxy S5 states "no information" for next update. Samsung Galaxy Alpha is also on the list and so is the Galaxy S4, which is in pretty much the same shoes as the Note 2 in terms of support. This new piece of information is quite peculiar and begs a lot of questions. If it came from any other source it would be instantly dismissed, but given the circumstances it is either a rather large mistake on Samsung's part or it does truly represent a fundamental shift in support politics at the Korean tech giant. Here's hoping that it's a case of the latter. Thanks, Dali, for the tip!